It was one of the biggest, most influential horror movies of all time. It was the first blockbuster. 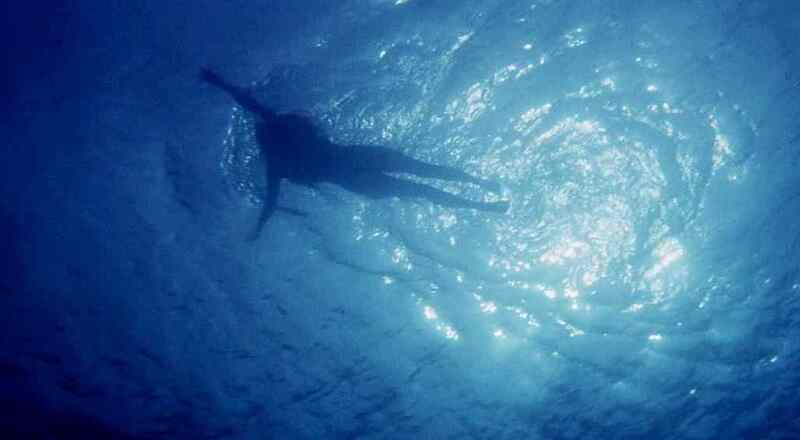 But more than that, it will always be remembered for being the film that made people stop going in the water. Everyone knows at least one person Jaws had that effect on, for a few years if not the rest of their lives. Forty years later, some people will go to the beach and still be too afraid to step off the sand. That kind of lasting power for a feature is a very rare thing. Ironically, it’s something that original author Peter Benchley completely regrets. After all, after the release of Jaws sharks were killed in the thousands. Many species were nearly driven to extinction. He devoted the rest of his life to funding and aiding research on the animals. Related: Images from Censored Death Scene in Jaws Resurface! That just speaks to the power Jaws had over its audience, that kind of cultural fear that’s now lasted for four decades. Maybe no horror film other than The Exorcist has ever had that kind of power. In some ways, it’s ironic that Jaws has made so many people afraid of the ocean because the story itself—not even on a subtextual level, but a surface one—is about a man conquering his fear of the water. This is an extremely character-driven movie and more than anything else, that is what makes it work. It’s not the shark, it’s not the score. Yes, all of these things are important, but at the end of the day, what matters is whether or not you care about these people. And in Jaws, you really do. As intense as the opening scene is, as brutal as the attack on the beach is, the strongest scene to me is still easily Quint’s monologue on the fate of the U.S.S. Indianapolis. 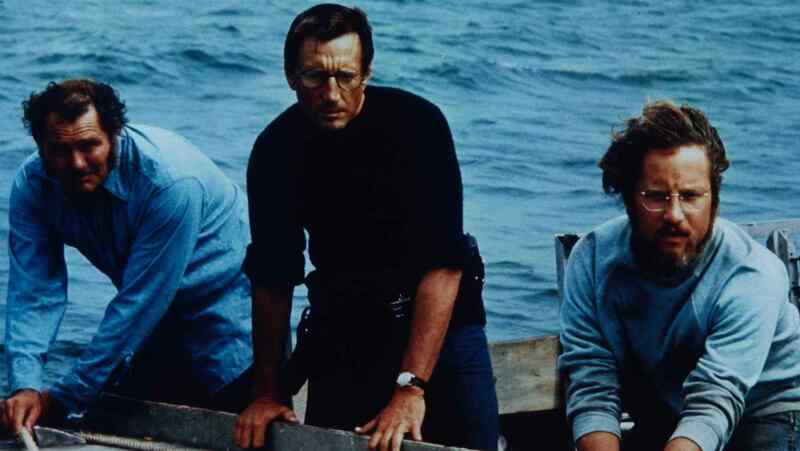 Jaws is a spectacle and a serious character piece at once. More than a horror movie, it is everything that blockbuster entertainment is supposed to be. There’s as much intentional strong filmmaking as there are happy accidents: the most infamous of them being the shark itself. The story is well known by now, but still relevant. The shark wouldn’t work the way they wanted it to work and so it is barely seen in the film. But that ended up being one of its greatest strengths. Like some of the most successful horror features, Jaws relies on what you don’t see more than what you do. Many classic genre productions from its decade like Texas Chain Saw Massacre, Alien and Halloween all relied on the same method. But Jaws really terrified people into thinking they were seeing so much more carnage than they actually were. There’s plenty of people who, when talking about it, will insist how shockingly gory the opening id, or how the film went too far when you see the boy get ripped to pieces. These are, of course, not things visible on the screen. It’s all just power of suggestion. Much of that needs to be credited to Spielberg’s direction. The casting is great and the score is iconic, but Spielberg carries it home. It’s a bit of a shame he never did more horror. His TV movie debut, Duel, is excellent and Jaws is a cornerstone of the genre. There were definitely more great horror stories left in him. But part of that is due to him becoming The Steven Spielberg. The man known as the godfather of the modern family adventure epic. Or the guy behind Oscar dramas like Schindler’s List and Lincoln. This kind of person can never really go back to horror after becoming such a huge name for things that are very different. When Mick Garris was on the Movie Crypt podcast, he talked about his friendship with Spielberg and said that the iconic director told him, “I have ideas that would make Cronenberg look sane.” Any horror fan would obviously love to even so much as hear what those might be. But, given the politics of the industry and the path his career took, they will obviously never happen.